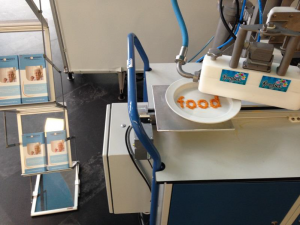 German agency Biozoon Food Innovations, in partnership with FOODJET coordinates the 3D food printer European PERFORMANCE project for the elderly. This innovative solution should reproduce modified food texture in their original form using a 3D food printer. The 3D printer is developed under the PERFORMANCE project together with industrial, academic and research institutes. 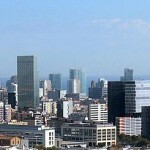 The project is funded to the tune of 3 billion euros. The 3D printer should allow to print the modified food by giving them different shapes texture. Each printer cartridge will contain a different food, vegetables, meat, carbohydrates, in liquid form. With the addition of a binder (under development), the printer agent will deposit the material in layers to replenish food in a given shape through a 48 printhead nozzles. The final result will allow seniors to have meals with appetizing texture. PERFORMANC project might be launched in 2015. Encore un projet inattendu autour de l’impression 3D ! Belle initiative au profit de nos aînés. Voilà une initiative pour le moins originale ! 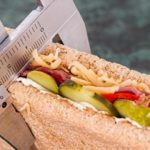 Les possibilités de l’impression 3D n’ont pas fini de nous étonner, mais je ne m’attendais pas du tout à une application alimentaire de cet outil.